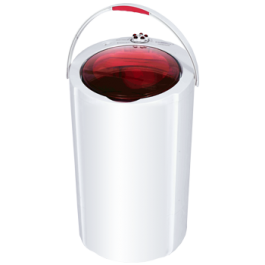 This “Cutie” mini washing machine is perfect for moving around due to its mobile size and built-in handles. 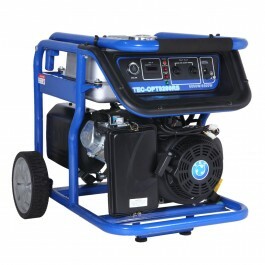 Needing only minimal power to run, this machine is also friendly on your generator. Handles for Ease of Carriage:These washers are portable, and can be conveniently carried from one place to the other. Protruding Tendon on the Wash Tub:This feature improves the wash effect, making laundry come out looking cleaner and brighter. Grill Function Top of the line grill function will help you brown the top layer of your dishes evenly and beautifully — perfect for grilling poultry, steak, fish and vegetables. 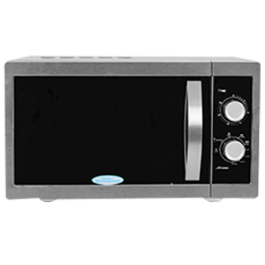 5 Power Levels Helps you to achieve the perfect temperature control when using your microwave oven to cook or heat meals. Removable Turntable You can remove the turntable to put long, rectangular or irregularly shaped items in the oven chamber without worrying about the items getting snagged or jammed as they rotate in the oven. You can place 2 or 3 bowls in the oven at the same time. Smart Throttle for Better Fuel Efficiency Smart Throttle is a devices specifically designed to supply the Generator an accurate amount of fuel required to support each additional load demanded from the Generator by consumer home appliances. Thus eliminating wastages and improving fuel efficiency by 10-15%. Smart Choke for Easy remote Start Smart Choke enables generator turn OFF or ON with the aid of a remote control from a distance of 40meters without any human intervention. Better Fuel Efficiency and Engine Vibration Thermocool Optima series generators are designed with reduced noise levels, reduced engine vibrations and excellent fuel efficiency to give users maximum relaxation and benefit for their money. 3 In 1 Digital Meter Designed to give real-time reading of Total Run Hours from First Usages, Total time of Current usage, frequency and Output Voltage. Data expected to help users develop a proper servicing plan. This double hob cooker’s teflon finishing ensures that you cooker doesn’t rust, leaving you with a strong and resilient cooker that will maintain its visual appeal as the years go by. 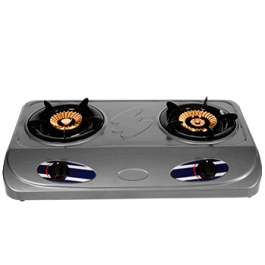 Rust Resistant Teflon Finishing: The unique teflon finishing on this 2-burner gas cookers helps protect your cooker against rust and extend its functional life. .
Auto Ignition: The Auto Ignition burner on this 2-burner teflon gas cooker helps save energy because you need less gas to light up your burners helping you reduce your gas costs..
Strong, durable pot support: The pot support on this 2-burner teflon gas cooker gives you the assurance of stability as you cook and helps you minimise spills and messes. ThermocoolStore.com is operated by Pronet Technology Solutions Ltd.
62, Gado Nasko Road,Kubwa, Abuja, Nigeria. © 2017 Pronet Technology Solutions Ltd. All Rights Reserved.